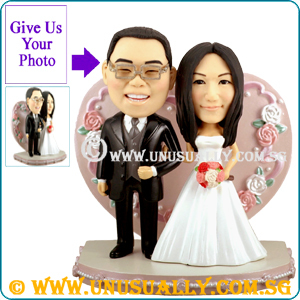 * Background can be replaced with other design single or couple figurines. * Option to make as bobblehead figurine. S$25 per figurine will be charged. * For the above option, you can select during your check out process and any additional requirements needed, please kindly note it under remark while checking out. * Standard order process will take around 21 working days upon submission of photo to us.